During a two-day inaugural Global Summit on Merit Review held in Washington last May — which was organised by the US National Science Foundation (NSF) at the request of the White House Office of Science & Technology (OSTP) — a new organisation called the Global Research Council (GRC) came into being. The first initiative of the GRC was to publish a Merit Review Statement. Released at the end of the Washington summit, this outlines a set of principles for assessing funding applications, including the need to provide expert assessment, transparency, impartiality, appropriateness, and confidentiality, as well as integrity and ethical consideration. But for Open Access (OA) advocates, a more interesting outcome of the Washington summit was the news that the GRC had decided to take up the issue of OA. As a result, at a second summit — to be held in Berlin at the end of May with representatives from around 70 research agencies — GRC will release consensus statements on both merit review and OA. But what exactly is GRC, how will it be funded, what is its remit, and what precisely are its aspirations so far as Open Access is concerned? To find out more I conducted an interview with Johannes Fournier, who works for the German Research Foundation (DFG). 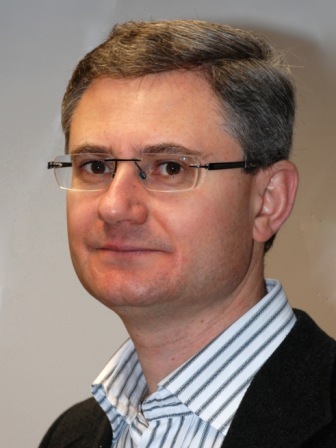 Fournier is Program Director for the Scientific Library Services and Information Systems group, the unit within DFG’s head office which looks after information infrastructure and Open Access. As host of the upcoming GRC annual meeting, the DFG has taken the lead on the issue of OA, and Fournier took part in all the regional conferences that have been held in preparation for the May event. Fournier is also assisting the GRC’s International Steering Committee in developing an action plan on Open Access. If you wish to read the interview with Johannes Fournier, please click on the link below. I am publishing the interview under the CC BY-NC-ND licence. As such, you are free to copy and distribute it as you wish, so long as you credit me as the author, do not alter or transform the text, and do not use it for any commercial purpose. JF: "Personally, I see one definite advantage of the Golden Road: it brings with it clear regulations as regards re-use. Contrastingly, self-archiving will often not provide the legal basis that allows for specific forms of re-use like text-and data-mining." This is the classic example of "letting the 'best' become the enemy of the 'better'". Free-access ("Gratis OA") is within reach (via universal Green OA mandates), free-access-plus-re-use-rights ("Libre OA") is not. Re-use is use-less without access, and we are nowhere near having free-access to all, most, or much of the journal-article corpus. Or, to put it another way, the first and foremost "use" is access. So losing more of the precious time (and use) that has already been lost by continuing to over-reach for re-use rights when users don't even grasp the use that is already within reach, is, for want of a better word, a persistent head-shaker in the slow, sad saga of OA. JF: "My views on self-archiving mandates are grounded in the philosophy of the organisation that employs me. The DFG is self-governed by researchers… And researchers don’t like to be forced to do things, they like to be supported and encouraged. For that reason, the DFG encourages open access by funding opportunities that facilitate providing research results in open access." If one thing has been learnt from the slow, sad saga of OA (now at least two decades old) it is that mandating OA works, but encouraging it doesn't. And neither the DFG nor DFG researchers are any different in this regard. The notion that mandating OA would be an illegal constraint on academic freedom in the DFG remains just as wrong-headed today as it has been since the first day it began to be endlessly parroted -- as wrong-headed as the notion that mandating "publish or perish" (which is, of course, mandated in the DFG, just as it is everywhere else in the research world) would be an illegal constraint on academic freedom in the DFG. JF: "a dichotomy between Green and Gold tends to obscure the question we really need to ask ourselves: what kind of mechanisms could be designed in order to shift money from acquisition budgets into publication funds? Because the transition to open access will only succeed if we find ways to reinvest those funds which are already used to pay for information provision." But, yes, universal, sustainable OA will indeed entail a "shift [of] money from acquisition budgets into publication funds." The missing causal component in this irreproachable reasoning, however, is: "what will drive that shift?". JF: "the need to buy the subscription content remains. Yet although the transition requires additional money, it might not be necessary to really pay twice: one could operate more economically if the subscription prices for a local library or for a consortium were adjusted to the growth of publication fees. That’s how to avoid so-called double-dipping… I know this sounds very simple and might be rather complex in its implementation, especially because the implementation is likely to require that the funding streams are readjusted."